City Centre location, 1km to Main Shopping District and CBD. 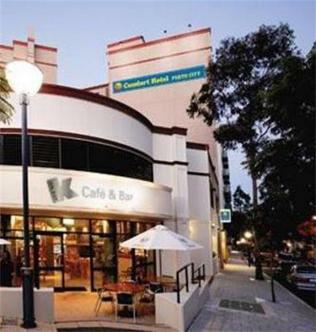 The property has complimentary parking and is well situated to Kings Park (3km), Northbridge (1.5km). There is a complimentary shuttle bus into the City Centre and Barrack Street Jetty, where boats leave for Fremantle, South Perth and various cruises. The WACA ground and Gloucester Park are two more attractions that are within walking distance to the property. The airport shuttle bus can be requested and costs $12 for the domestic and $15 for the International Airport. Front desk hours: 24 hours. Children under 12 stay free in existing bedding. Free parking is subject to availability.